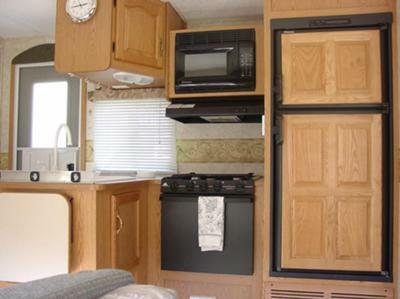 I want to trade my RV for a Harley Ultra Classic motorcycle! 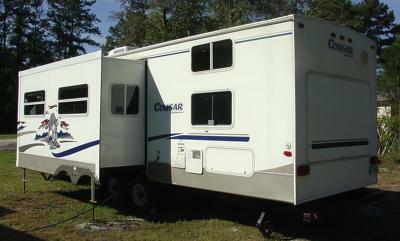 I have a 35' travel trailer that I wanted to trade for a Harley Davidson Ultra Classic. 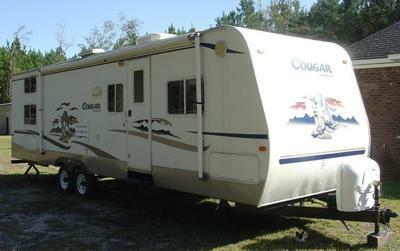 The RV that I want to trade is a nice Keystone Cougar RV with Living room slide out! Rather than buying one of the used motorcycles for sale in classifieds contact me and we'll talk about trading! Feel free to email any questions regarding making a TRADE an RV for a HARLEY ULTRA CLASSIC to me by leaving your questions and contact information in the space below provided by GoGoCycles Motorcycle Classifieds and the owner will get back with you as soon as possible. 46500 miles , 96 cubic inch motor, cruise,cb, 16 " apes and much more with it. I'm welling to trade for class 'C' or 'A'. RV must be 2010 or newer. I have a 2003 Anniversary Edition Ultra Classic, black and silver. Original Owner 35 made. I have a 1999 Harley Roadking with 4000 miles, excellent condition. Garage kept. If interested, call Timmy at 706-833-7five seven 0. Have a 07 Harley Ultra Classic Red Pearl / Black Pearl, 103ci, Dyno tuned, race tuner, SE Cams, more chrome than you could imagine, always garage kept, set up for the long haul, over $32K invested. Also have a Tri-Glide so... no need to hold on to them both... Would trade for RV (toy hauler, camper, 5th wheel). This is a great ride and well maintained at dealership. I will trade you my 1970 Plymouth Superbird Clone car for your travel trailer. If you're interested let me know and I can send you some pics. I have a sick Custom Built Chopper with a polished and built 127ci Ultima with 6sp, 3" open-belt BDL, S&S Super G shorty carb, raked crazy, west coast choppers tank, 250 rear tire, and much more. Low miles, excellent shape, please email me if you are interested in talking more. with 1800 miles only ! I maintained the Black Dyna Glide at Harley Davidson dealership. Lets talk.